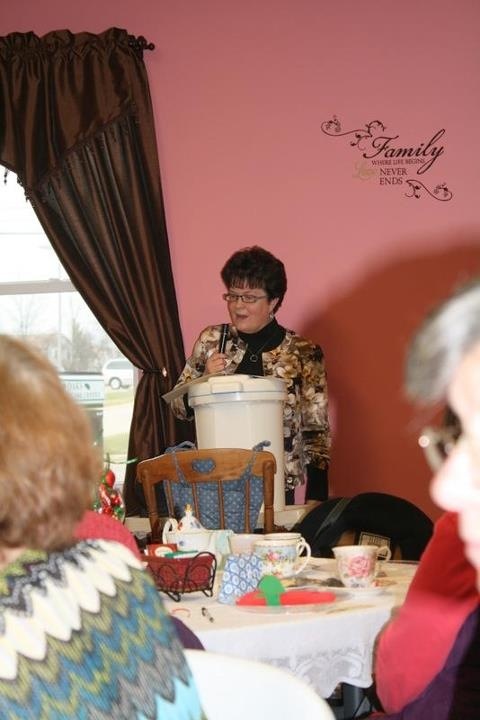 On December 1, 2012, I spoke at a Women’s Christmas Tea at the Oaks Family Care Center in Brunswick, Ohio. The Oaks ministers to family needs including pregnancy support. I had to laugh as we put together my teaching stand. Appropriate for the Oaks ministry, it consisted of a high chair with a diaper pail on top of it. I spoke on “God to the rescue.” The event was a fundraiser for the purchase of an Ultrasound machine as an expansion of the Oaks ministry. It was a wonderful time to catch up with old friends and meet many new ones.